NEW DELHI: Delhi government has imposed a blanket ban on manufacture, sale, storage and use of plastic bags with stiff penalty against violators including imprisonment up to five years from today. The government has imposed the ban as per provision of the Environment (Protection) Act, 1986, under which violators could face imprisonment up to five years and fine of up to Rs 1 lakh or both. 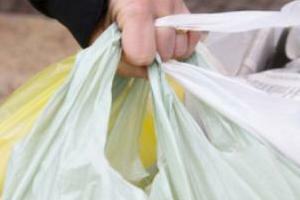 “The ban on plastic bags will come into effect tomorrow. All the concerned agencies have been told to ensure implementation of the ban,” Delhi chief secretary PK Tripathi said. According to the environment department officials, the use of plastic cover or pouch to pack magazines, invitation cards and greeting cards will also be prohibited. To start with, the government will only focus on plastic carry bags and will not target packaged food and materials. Authorities like civic bodies, NDMC, Environment Department and Delhi Pollution Control Committee will implement the ban. Although Delhi Cabinet had decided to go for imposing the ban on September 11, a notification for implementation of the decision was issued a month back giving a deadline of November 22 to stop manufacture, sale, storage and use of the plastic bags. Under the notification, no person including shopkeepers, vendors, wholesalers, retailers and hawkers will be allowed to sell, store or use plastic carry bags for supply of any goods. Reports suggests that around 400 plastic bag manufacturing units were operating in the city and the total yearly turnover of these units was in the range of Rs 800 crore to Rs 1,000 crore.